I’ve always loved a good ghost story, yet I’d never written one before. 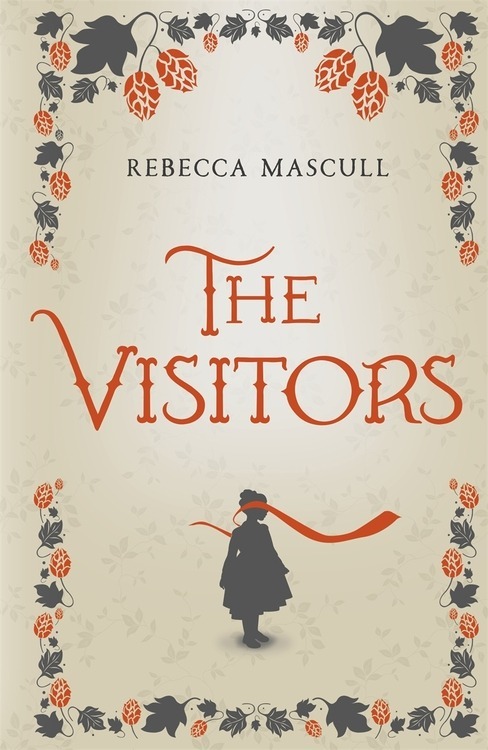 When I conceived the idea for the book which became THE VISITORS, I knew it would be about a deaf-blind girl, I knew there would be a love story and a war, but I had no idea there would be ghosts. I certainly did not intend they would take over the whole story and even the title of the novel. Originally, the setting of the story was just after the American Civil War. Thinking about my main character one day, I suddenly had a vision of her walking through a battlefield and seeing hundreds upon hundreds of ghosts of the dead soldiers, and each one turned to her and could see only her. Though the war changed to the Boer War and the venue changed to a Kent hop farm, the ghosts followed and haunted the book from that moment. In deciding to make the book a ghost story, I firstly needed to outline the laws by which they would abide. I’ve always felt that any kind of fiction – be it books or films – works only when the reader or viewer believes that the rules laid down in the fictional universe are constant, unchanging and make sense within the universe of the story. For example, in science fiction, that the technology provided is certainly advanced yet not limitless, that it follows certain rules about what is and is not possible. I felt the same applied to ghost stories. In some stories, ghosts can see people, in other stories they can’t. Sometimes they can only see one person, for example, Allison DuBois in Medium or the Whoopie Goldberg character in Ghost. Spectres can walk through walls, or hold objects, or throw things at people or kidnap children, as in Poltergeist. Or they might seem stuck in their own timeslip and have no awareness of the real world going on around them, such as hauntings from monks wandering cloisters, seen but not seeing. Or they may be the opposite, interfering and guiding human lives, such as the spirits with Scrooge in A Christmas Carol. They may not know they are dead as in The Sixth Sense, or they may be living it up in the afterlife and zipping around between dimensions have a whale of a time; as Danny Kaye said in Wonderman, “When I think of all the time I wasted living!” Sometimes, there is even doubt that there is a ghost at all, or it may be a character losing their mind, as in Dickens’s The Signalman and Jean Rhys’s I Used to Live Here Once. So I needed to decide on my own rules and how these would serve the purpose of the story. I felt very strongly right from the beginning that Adeliza was the centre of this story. Her search for communication and meaning in the world was the very heart of it. Her deaf-blindness was a subject of the utmost seriousness and needed to be treated as such, in all its ramifications. Likewise, her relationship with her teacher, as well as the love story, all needed to take centre stage and I worried at first that introducing ghosts might trivialise these aspects. But I realised quite soon after that Adeliza’s gift, in being able to communicate with these ghosts, actually brought her a special power and uniqueness which were ultimately liberating for her too. This gift does not overtake her other journey i.e. that of her search for self-fulfilment through learning and communication, yet enriched it and provided an unexpected and gloriously free scenario for me to play with. And, as I’ve already said, I’ve always loved a good ghost story! they cannot seem to release themselves from their situation. So, those are my ghost rules. 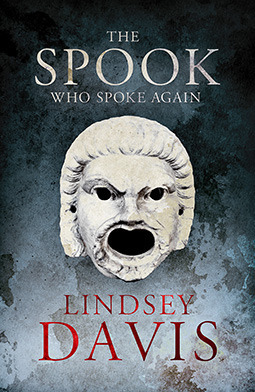 Every ghost story has its own laws, and those are the ones I employed for my own ends. Their name, The Visitors, is coined by Adeliza to explain something to herself she cannot explain. And when I decided to use this phrase as the novel’s name – so replete with mystery and expectation as it is – I realised it had so many other meanings played out within the narrative: such as, the hop pickers on the Golding farm, Adeliza when she goes to the Crowe house, the English and even the Boers in South Africa and even Adeliza herself, as a deaf-blind child crossing the chasm between her own sightless and soundless world to the world of the hearing and the seeing. Then I knew that I had made the right decision, that the ghosts of THE VISITORS took their place beside Liza at the heart of this story, and deserved to be seen and heard. Rebecca’s daughter’s picture of ‘Spooky Goings-On’.